What is the Best City to Study in Australia? This article is designed to allow students to get to know a little more about what it is like to study in each city in Australia. Obviously, each city has its pros and cons and what might be important for one student, is not too important for others. Please note the overall rating we have given each city is based on the experiences of our students in each city. Please let us know your thoughts about the best city to study in Australia in the comments. Living Costs: Sydney is without a doubt the most expensive Australian city to live in. Which may make it a deal breaker for many students. It is not uncommon for single rooms to rent in Sydney for between $250 – $400 AUD per week. Work Opportunities: On the plus side, there are ample work opportunities available for students in Sydney. This includes working in restaurants, bars, cleaners, administration etc… Not many Australians want to work in these roles because it can be difficult to cover the costs of living in Sydney with the pay that you receive. Education Providers Available: Sydney has excellent (and very expensive) universities. It also has a lot of vocational providers. However, there is a serious lack of trade schools available in Sydney. On top of this the tuition fees charged in Sydney are generally more expensive than most other cities around Australia. Social Life: Despite the NSW Government ridiculous lock out laws, Sydney still has a great night life. It is the biggest city in Australia so there is almost always something happening every night of the week. There are also a lot of historic buildings and places and national parks to visit. In summer, the beaches are also a great free weekend activity. 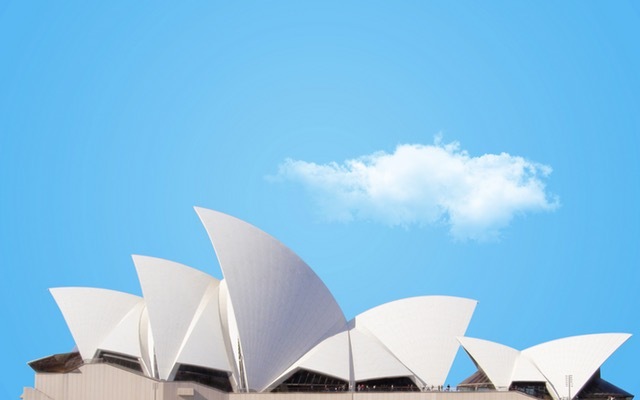 Climate: Sydney has a decent climate. However, it gets quite cold in the winter. Public Transport: Public transport is good in Sydney. The trains are fast and efficient, however the traffic is horrible if you must get anywhere by bus or car. Also, there are no student discounted fees for public transport. Living Costs: If Sydney is the most expensive city to live in, in Australia, Melbourne isn’t too far off. For a single room in a decent neighborhood you can expect to pay roughly $220 – $380 per week. Work Opportunities: Fortunately, there are also an abundance of work opportunities for students in Melbourne. All year ‘round the city has an abundance of opportunities for students both while you are studying and once you finish your studies. Education Providers Available: Melbourne bests Sydney in this category. Not only does Melbourne have some of Australia’s top universities, it also has a lot of reasonably priced vocational and trade providers. Social Life: Melbourne is the sporting and cultural capital of Australia. It hosts the F1 Grand Prix, AFL Grand Final and numerous other sporting events every year. On top of this it is known for having some of the best cafes and restaurants as well as cultural precincts in Aus. On top of this the music scene in Melbourne is phenomenal. Climate: Melbourne is known as a city that can have 4 seasons in one day. You really don’t know what to expect. Except in the winter when it can be freezing and in the summer, it can reach some ridiculously hot temperatures. Living Costs: The living costs on The Gold Coast are very reasonable compared to other major cities around Australia. There are hundreds of high rise buildings located throughout the coast line. You can expect to pay roughly $150 – $220 for a single room per week. Work Opportunities: Being such a huge tourist destination there is an abundance of work available in the summer months. On top of this the Gold Coast is in the midst of a major building and construction boom before the Commonwealth Games so there is plenty of work for tradesmen and laborer’s. Social Life: A massive positive for the Gold Coast is the beaches. They are regarded as the best in Australia and because of the weather, you can swim all year around. On top of this the Gold Coast has a thriving nightlife in Surfers Paradise. Conveniently, The Gold Coast is located less than an hour drive to Byron Bay (for weekend getaways). Public Transport: The public transport on The Gold Coast is improving, however it is still no where near as good as Sydney or Melbourne. However, with the extension of the tram it is getting a lot better. Climate: The climate is a huge selling point for The Gold Coast. The GC probably has the best climate of any major city in Aus. It never gets too cold in the winter and only gets too hot in the summer heat waves- although this makes it perfect time to go to the beach! Overall: Overall, we rate The Gold Coast (4.5 out of 5) to study. If you are looking to live in a major city that is a bit more laid back and a lot more affordable, then you should strongly consider it as an option. Living Costs: Brisbane is quite a reasonably priced city to live in. The city Centre definitely has a big city vibe to it, however there are other areas which are a lot more suburban. Generally speaking you can expect to pay anywhere from $180 – $280 for a single room per week. Work Opportunities: Most of our students have not had a problem finding part time employment in Brisbane. There seems to be a lot of jobs in restaurants, cafes, bars, cleaning and administration. Social Life: Brisbane has some great restaurants, cafes, night life and sporting events. Like AFL is engrained in the culture in Melbourne, Rugby League is massive in Brisbane. It is the home to the mighty Brisbane Broncos. Climate: The climate in Brisbane is similar to The Gold Coast, however you don’t have the beach to cool down in. Public Transport: Brisbane is a very spread out city, although has an excellent train and bus network. Living Costs: Perth is actually quite an expensive city to live in, in Australia. It is probably a little cheaper than Sydney or Melbourne, but still more expensive than Brisbane, The Gold Coast or Adelaide. You could expect to pay roughly $200 – $300 for a single room in Perth per week. Work Opportunities: Since the downturn in mining, the Perth economy has struggled. Consequently, the job market is not very strong at the moment. Education Providers Available: Perth has a few decent universities; however it has a serious lack of vocational and trade providers. The providers which are available in Perth are generally a little more expensive than most other cities. Social Life: Perth has a decent social life. They love their AFL over there and have some great live music venues and artists. If you like wildlife and natural scenery you are on the doorstep to some great adventures across Western Australia. Climate: Throughout the summer Perth can reach really high temperatures. And in the winter, it can get quite cold. Public Transport: Perth is quite a spread-out city and consequently the public transport is not as good as many other major cities around Australia. Overall: Perth is still a fun city to live in, however the cost of living and the higher tuition fees aren’t great. Hopefully the Perth economy picks up which will be great for anyone studying there (Overall 2.5 out of 5). Living Costs: Adelaide is the cheapest Australian major city to live in. You could expect to pay roughly $150 – $220 per week for a single room. Work Opportunities: Our students have found that there are a lot of hospitality job opportunities in Adelaide. Education Providers Available: There are some good universities in Adelaide, however there is a serious lack of vocational schools and not really any trade options available. Social Life: The food and wine scene in Adelaide is one of the best in Australia. Adelaide is surrounded by wine regions which makes for a great weekend trip. The night life is also improving as more festivals begin to operate. Climate: The weather in Adelaide is like Perth or Melbourne. In summer, it is the hottest major city in Australia and in winter it can get a little chilly. Public Transport: The tram in the city in Adelaide is free! And there is a bus and train network throughout the rest of the city. Overall: For migration purposes, there is no better city to study in than Adelaide. The whole state is classified as regional, meaning you may be able to apply directly for an employer sponsored 187 visa. On top of this, students who study for at least 2 years in a qualifying course, may receive 5 extra points for studying in a regional area.